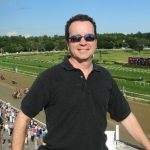 SEEKING THE SOUL (GP, 1/26/19, Pegasus Cup) – trainer Dallas Stewart is a master at getting horses to run their best in the biggest races in the world and he does so while somewhat under the radar. He had another live longshot in Seeking The Soul, a horse I downgraded after the track came up a wet mess at Gulfstream for the 2019 Pegasus World Cup. However, that didn’t stop the veteran runner from firing a big shot as so often the Stewart runners do. 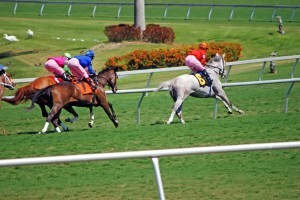 Watch Seeking The Soul (saddle cloth #4) makes an inside move at the 5/8th pole before running into traffic, getting stopped briefly, and losing momentum. He re-rallies quickly and then continues with a long sustained run to be a clear 2nd to City of Light. Impressive effort with a sneaky troubled trip. HALLANDALE BEACH, FL – Seeking the Soul figures to be a price at the betting windows when the Grade 1-winning 6-year-old horse competes in Gulfstream Park’s $9 million Pegasus World Cup Invitational (G1). But owner-breeder Charles “Chuck” Fipke has made a career out of long shots. Actually two careers. Seeking the Soul — winner of Churchill Downs’ Clark Handicap (G1) in 2017, most recently second in the Breeders’ Cup Dirt Mile (G1) and fifth in last year’s Pegasus — is a good example. He is a son of Perfect Soul, the Fipke homebred who gave the breeder his first American Grade 1 triumph in the 2003 Shadwell Keeneland Turf Mile in a still-standing course record 1:33.54. Perfect Soul sired Fipke’s first Breeders’ Cup winner in Perfect Shirl, the 2011 Filly & Mare Turf heroine at 27-1 odds, and Golden Soul, second in the 2013 Kentucky Derby (G1) at 34-1. Salomon Del Valle’s Margoth purchased a spot in the $9 million Pegasus World Cup Invitational (G1), confirming multiple graded-stakes winner Gunnevera for North America’s richest race Jan. 26 at Gulfstream Park. The Stronach Group, owners of the Pegasus World Cup, announced an exciting new element to what has become, in just two short years, one of the premier events on the Thoroughbred racing calendar. The Pegasus World Cup 2019, to be held on January 26, will be adding a Grade 1 turf stakes to this year’s race-day festivities. Tickets for the 2019 Pegasus World Cup will be available at www.pegasusworldcup.com starting today October 1.